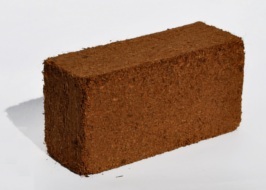 Coir is an organic tiny particle which is obtained from coconut husk while separating fibre from husk. 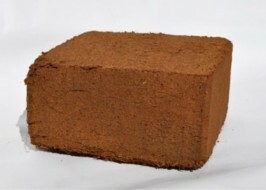 The Coir is also known as ‘Cocopeat’. Used in Tomato, cucumber, rose, gerbera, and strawberry plantation. Cocopeat is a multi purpose growing medium that provides new opportunities for: Potting Mix Suppliers, Seedling Nurseries, Hydroponic Growers & Golf Green Constructors. 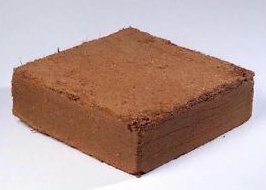 Cocopeat provide as an organic alternate to rockwool and perlite media without the environmental disposal issues. Hydroponic crop production using Cocopeat makes the opportunity to consistently maximize yield and provide better quality. The high water holding capacity provides a buffer in high temperatures and high crop load demand without compromising air supply. Additionally, it offer high water absorption and retention rate. The presence of organic compounds in Cocopeat can results strong root growth compare with other growing medium. In addition it offers some natural resistance to plant diseases, so the plant live span will be long.